The new Chrysler 300 perfectly blends high-quality craftsmanship with unforgettable style. When you want a stylish luxury car that also boasts unstoppable performance power, don’t look any further than the new Chrysler 300. Casting a road presence that’s impossible to ignore, you’ll have everyone’s undivided attention courtesy of a distinctive front end, sculpted body panels, and muscular stance. 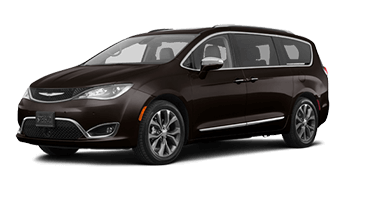 Those astonishingly good looks follow you into the cabin, where you’ll find breath-taking beauty in the little details, such as accented stitching, wood trim, and available heated leather seats. Whether you’re commuting to Midland, having dinner in Bay City, or meeting clients in Saginaw, you’ll be sure to garner more than a few stares. This luxurious performance car doesn’t disappoint under the hood either. Opt for the best-in-class 5.7L Hemi® V8 and enjoy an incredible 363 horsepower; or, choose the award-winning 3.6L Pentastar® V6 for superb fuel economy. Whichever stellar engine you choose, you’re getting the superior power you need to dominate city streets. Don’t just take our word for it though. Stop in to Garber Chrysler Dodge Jeep Ram in Saginaw today and take the new Chrysler 300 for a test drive. Elegance meets a bold presence in the new Chrysler 300. This luxury mid-sized sedan is a showstopper, boasting a wide front-end, innovative headlights, and attention-grabbing wheels, sure to leave envious onlookers in awe as you cruise by. Leave an unforgettable first impression with new Chrysler 300, whose bold front-end is matched by smooth, elegant lines, creating an image of both beauty and power. Choose from 9 colors and luxuriate in a ride that matches your unique personality. Brighten up any drive with the available Dual-Pane Panoramic Power Sunroof. Press a button to slide the tinted glass back and let some fresh air in; or, simply leave it closed and enjoy an open-air view. You and your rear passengers both enjoy the benefits thanks to dual-pane glass. Choose how you spin in the new Chrysler 300, which offers 9 different wheel designs to help you stand out in a crowd, available in 17”, 18”, 19”, and even 20” sizes. Illuminate the way with the new Chrysler 300’s Adaptive High-Intensity Discharge (HID) Headlamps with Automatic Leveling. This system closely monitors the steering wheel angle as well as vehicle speed and adjusts the headlamp position accordingly, so you can have maximum visibility over hills and around curves. Upgrade your look by opting for the Chrysler 300S, which offers body-color fascias with signature daytime running lamps, sculpted sill moldings, a body-color rear spoiler, and so much more. It’s just one more way you can up your luxury car game. Now this is eye-catching. The distinctive exterior of the Chrysler 300C includes a platinum chrome finish on the grille surround, exterior mirrors, and door handles, as well as monstrous 20” aluminum wheels to really get peepers popping. You’re going to want to take the long way home once you slip behind the wheel of the luxurious Chrysler 300. From the premium leather, accent stitching, and Driver Information Display, your morning commute will become much more enjoyable. Take a seat and fall in love with the sumptuous Chrysler 300, which offers a choice between several interiors, including a wide selection of different cloth as well as leather seating. Adding to the richness of the cabin is premium accent stitching, real wood trim, a sculpted dashboard, and innovative rotary e-shift, so you arrive at your destination in the pinnacle of style. Stay comfortable no matter what the weather outside is like, with the new Chrysler 300’s available heated and leather seats. Chase away the chill on cold mornings, or cool off during sweltering summer day, all with the push of a button. 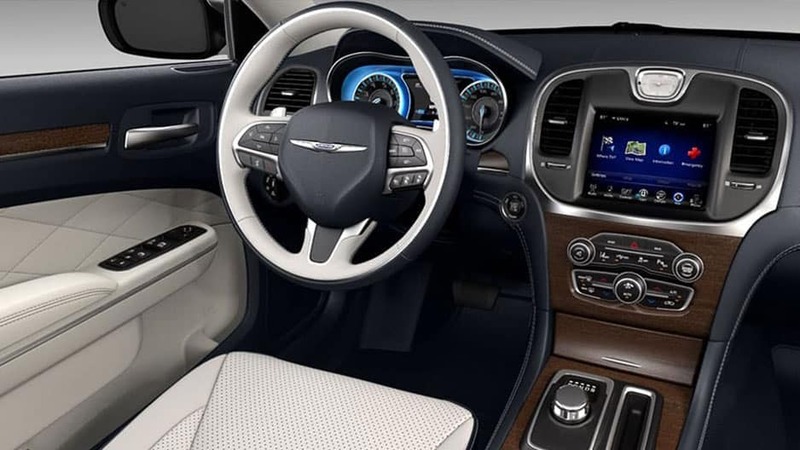 Keep your hands securely on the wheel where they belong, while still controlling cruise control speed, audio, and voice command, with the new Chrysler 300’s Steering Wheel Mounted Controls. The new Chrysler 300 makes it easy for you and your passenger to ride comfortably, without arguments over the interior climate, with Dual-Zone Automatic Temperature Control. This system allows you to each set individual settings for your areas, so the air around you is exactly how you would like. Adding to the luxurious appeal of the new Chrysler 300 is the distinctive, ambient blue Driver Information Display Cluster, which you can customize with the steering wheel mounted controls to show current speed, audio selection, fuel economy, and so much more. 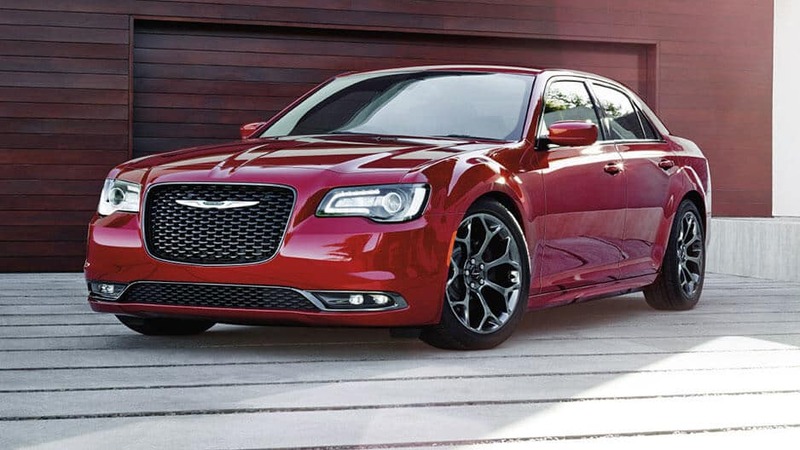 When it comes to advanced technology features, the new Chrysler 300 doesn’t disappoint. Sit back and enjoy the ride with the Uconnect® Multimedia System and 8.4” touchscreen at your fingertips. 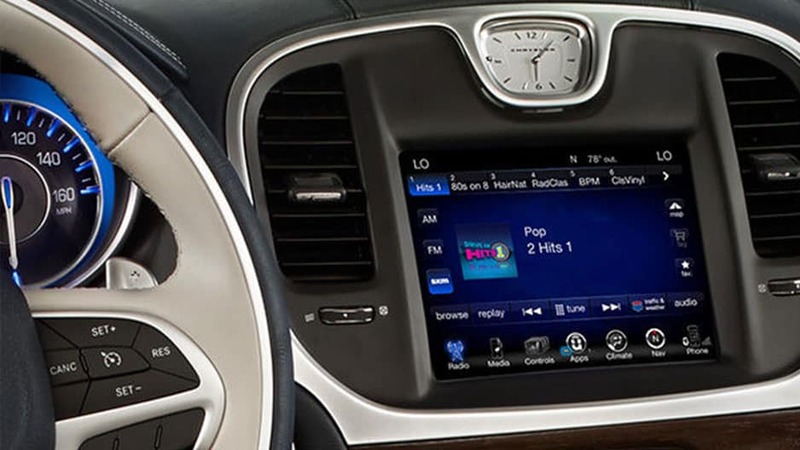 Coming standard in the new Chrysler 300, the Uconnect 4C system allows you to sync your mobile device to the 8.4” touchscreen via Apple CarPlay™ or Android Auto™, so you can easily stream you favorite tunes and answer calls hands-free. Offering all the features of the standard Uconnect 4C, but with the added benefit of integrated Navigation, this system ensures that no matter how far you travel, you can always find your way back home. Take concert-quality sound wherever you go with the BeatsAudio Premium Sound System. Featuring 10 premium speakers, a trunk-mounted dual-voice coil subwoofer, and a 12-channel 552-watt amplifier, you’ll be the envy of every audiophile you know. Put those fancy speakers to good use, with a free 1-year subscription to SiriusXM Satellite Radio. Keep everyone entertained with over 150 channels of commercial-free music, sports, talk, entertainment, and so much more. The new Chrysler 300 makes sure you stay connected, with the conveniently placed Entertainment and Media Hub. Featuring two USB ports, an audio jack, and wireless charging pad, it’s easy to play music or charge your devices on the go. The new Chrysler 300 offers a plethora of safety features that help you detect hazards and prevent accidents from happening. Feel secure traveling anywhere, with the peace of mind that Forward Collision Warning, Rear Park Assist, and Adaptive Cruise Control are watching out for you. 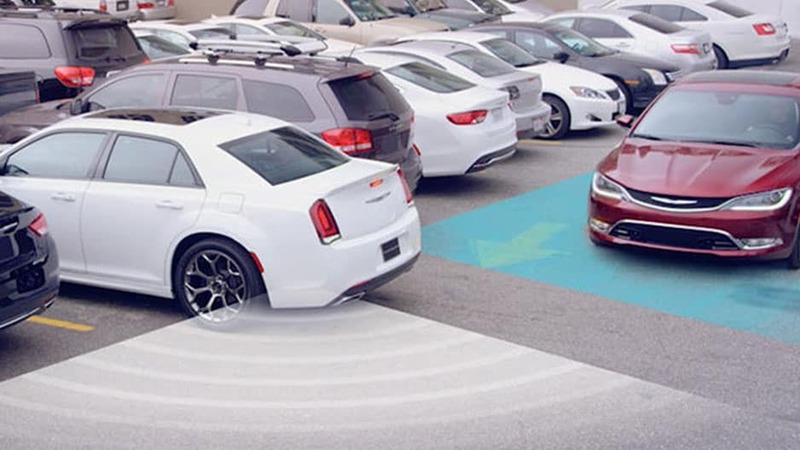 With this available system, the new Chrysler 300 can detect when you’re following another vehicle too closely, and will warn you when a front-end collision is imminent with visual as well as audible alerts. Change lanes without breaking a sweat with Blind Spot Monitoring. This system utilizes ultrasonic technology to detect when a vehicle has entered one of your blind zones, and will alert you with an icon on the corresponding side-view mirror, as well as with an audible chime if the turning signal is activated. Prevent accidental lane drift with the available LaneSense® Lane Departure Warning with Lane Keep Assist. When the system detects unintentional lane drift, it will warn you with alerts, and help you get back on track with gentle steering wheel turns. Not only does the Chrysler 300 feature a standard ParkView® Rear Back-Up Camera, it also offers ParkSense® Front and Rear Park Assist. This system uses ultrasonic technology to detect when you’re getting too close to a stationary object either in front or behind you, and will warn you with a visual as well as audible indicator. Tight parking lots are a breeze for a Chrysler 300 equipped with Rear Cross Path Detection. This system scans the area behind you for vehicles you might not be able to see, and will warn you on the Rear Back-Up Camera to prevent any unwanted surprises. With available Adaptive Cruise Control, the Chrysler 300 closely monitors the vehicle in front of you and adjusts cruise control speed to maintain a set following distance. It’s just one more way this luxurious sedan keeps your safety at the forefront. Prepare to have all eyes on you in the new Chrysler 300. Offering a choice between an award-winning V6 and a best-in-class V8, as well as Advanced All-Wheel Drive, this luxury sedan promises incredible power and jaw-dropping performance. Why settle for anything less than the best in the new Chrysler 300, which offers a best-in-class 5.7L HEMI V8 engine that kicks out an astonishing 363 horsepower. Put the pedal to the metal and leave the rest behind. With the award-winning standard 3.6L Pentastar V6 engine, you’ll enjoy a superb fuel economy of 30 miles per gallon highway, meaning less time at the pump and more time dominating the roads. With the new Chrysler 300, you don’t need to worry about wasting gas. Thanks to fuel saving technology in the available 5.7L Hemi V8 engine, sensors detect when you don’t need as much power, such as when you’re cruising on the highway, and will disengage four of the eight cylinders for improved fuel economy. Enjoy optimal control and maximum traction in the new Chrysler 300 with Advanced All-Wheel Drive. This system seamlessly engages and disengages depending on road conditions, switching power to the rear axle only when you need it, helping you drive both safely and efficiently. Take your Chrysler 300 to the next level with the available Sport Mode, which increases accelerator response, raises transmission shift points, and calibrates the electric power steering to sport performance settings, so you’ll maintain tight, responsive control as you’re speeding through the cityscape. Don’t wait any longer to discover the new Chrysler 300, the luxury sedan that’s leading the way in style and innovation. Equipped with Advanced All-Wheel Drive as well as fuel saving technology, feel free to drive further for longer, with the peace of mind that the 300 can handle any road condition. All it needs is you. And no matter how far or long you travel, you can rely on the Chrysler 300 to keep you connected the entire time. Sync your mobile device to the Uconnect® 4 system to blast your favorite tunes or answer calls hands free, making boring commutes a thing of the past. 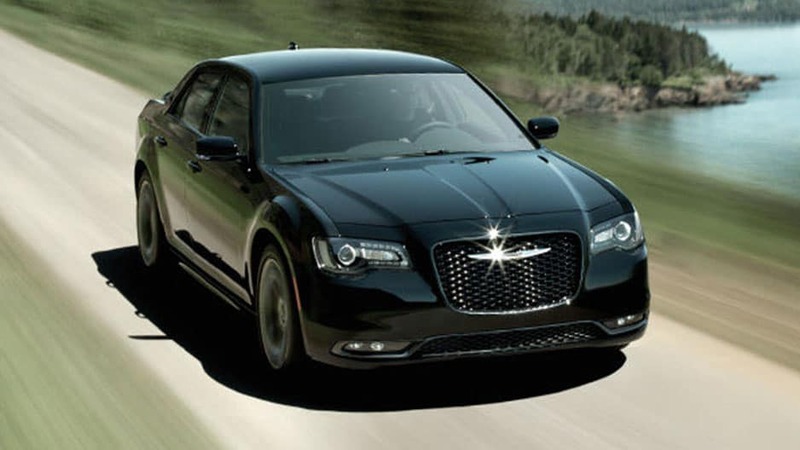 Experience the Chrysler 300 today, available for a test drive today at Garber Chrysler Dodge Jeep Ram in Saginaw.